This was the advice I received at 18 from the obligatory education I received from the largest dude at Bally’s as I was on my quest for knowledge and bigger biceps. The supplement industry is a billion dollar industry. Each day there is a new product that will help you burn fat, build muscle, and will change your life appears on the market. It can be very hard to decipher through all the bogus claims and pseudoscience to find what is really relevant and pertinent to your fitness goals. Two products that most people have heard of are whey protein and branch chained amino acids aka BCAA’s. Most people do not know the difference between the two and if/how they should use them. Fortunately for you I am going to break all of that down for you below. First off, do you need a protein supplement? If you can obtain all of your daily protein intake via whole food then there is no advantage to consuming a whey protein supplement in comparison to whole food dietary protein. Now, most of my clients are very busy individuals. Eating protein at every single meal throughout the day just isn’t feasible. That’s where a supplement can be useful to help augment someones intake.Especially in female clients who find it hard to consume all of the dietary protein they need due to it’s satiating effect (it’s very filling). What the heck is an amino acid? Amino acids are the basic substrates or “building blocks” of proteins that are linked together to form very long chains. The branch chained amino acids (BCAA’s) are leucine, isoleucine, and valine and are found within all complete protein sources (like fish, tofu, and whey protein). So it would make sense to assume (like most do) that BCAA’s are over-priced and not necessary seeing as whey protein contains BCAA’s within it. In whey protein the BCAA’s are peptide bound (think of it as locked to one another) to other amino acids. Even though whey protein is a faster digesting protein compared to whole foods, it still takes hours to liberalize and metabolize and absorb the amino acids into the blood stream. BCAA’s in supplemental form are what’s termed free form amino acids that require no digestion. They are rapidly absorbed into the blood stream to a much greater extent compared to the amino acids in whey protein. Also, isoleucine and valine have whats called a glucogenic effect. Which means they can be used as an energy source during a workout. So what does this all mean for the every day individual? 1. Consumed 15 minutes before an early morning fasted work outs to supply your body with nutrients to perform exercise (NEVER train fasted!). 2. For someone who does not like to eat a lot right before working out due to GI issues. 3. Someone who has gone six our more hours from their last meal and is going to engage in exercise. Be sure to stick to a 2:1:1 ratio for leucine:isoleucine:valine for the branch chain amino acids. 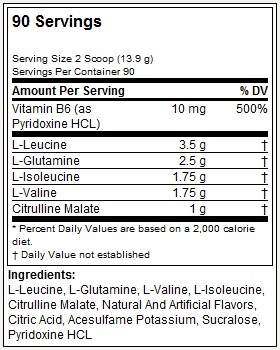 For example: The label should have 2g of leucine to 1g of isoleucine and valine for proper absorption. I’ve seen some products have as high as 10g of leucine. This is has not been proven to be superior in the research and can throw off the uptake and absorption in your body. Supplements are just as the name suggests. They are there to SUPPLEMENT proper nutrition, training, recovery, and lifestyle factors to help you achieve results. If you do not have the aforementioned components in place then supplements will do very little to help you achieve results. Deciding rather to use whole food, whey protein, or BCAA’s is less important compared to hitting your total daily protein intake. Let your personal preference dictate meal timing and food choices. If you prefer to eat a whole food meal three hours before a workout – Cool do that! If you prefer to sip BCAA’s immediately before a workout – Cool do that! The best approach is the one that you can stick to in the long run.